In 1953, two Utrecht-based corporations commissioned Rietveld to design 388 housing units in the Hoograven area of that city. Originally he was to have worked on the project with the architect J.J.P. Oud, but Oud was busy and left the job to Rietveld. 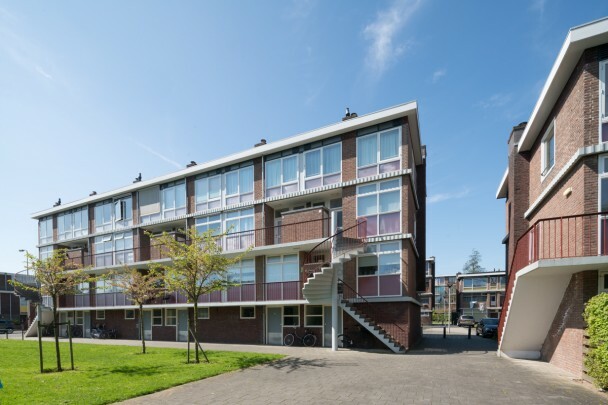 Once the housing was in place, Rietveld delivered a second, comparable project of 194 units at Robijnhof. The single-family houses and walk-up flats have compact floor plans in an architecture of restraint. At Robijnhof 13 there is a museum home fitted out with furniture and household goods from around 1960 and managed by the Centraal Museum.